Frank Martin (Statham) is an ex-Special Forces soldier who now lives alone in a picturesque region of France. When his friend Inspector Tarconi (Berleand) makes occasional visits to his fortress-like home, Martin maintains that he’s left the fighting life behind him and now lives on his Army pension alone. The truth is that Martin is a master Martial Artist and expert driver who employs his prodigious skills for whoever pays his price, and whoever agrees to follow his strict set of rules. Things get complicated when a super-evil businessman known only as Wall Street (Schulze) hires Martin – and then Martin realizes that he’s transporting a live human in a bag – a woman named Lai (Qi). Together, Martin and Lai uncover a smuggling ring and a conspiracy that will hit everyone very close to home. Battling many goons to get close to the truth, will Frank Martin be the TRANSPORTER of justice? Find out today! Top fan favorite Jason Statham in a movie co-written by Luc Besson and co-directed by Corey Yuen? Sign us up! 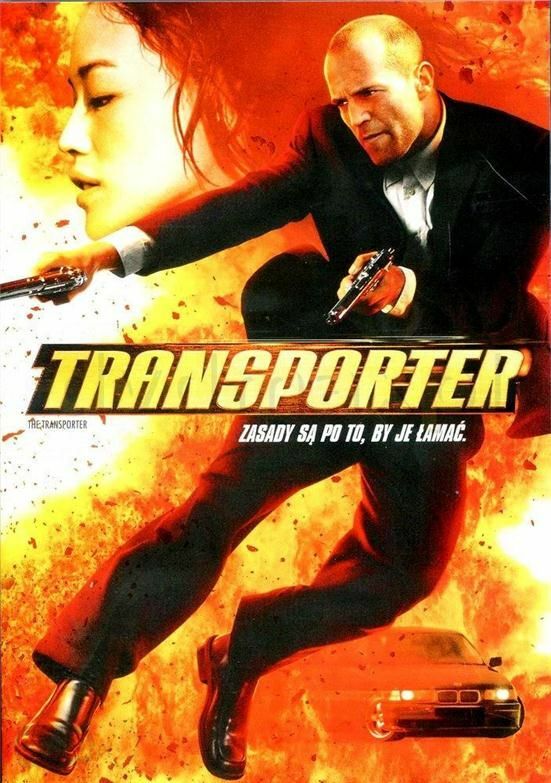 Indeed, The Transporter lives up to the promise inherent in these names – it’s a fast paced, professionally-shot, and totally enjoyable action outing that’s easy to love. The French locations are beautiful and make a nice change of pace for the setting for an action movie, and the car chase and driving scenes are all the better for occurring in these locales. This was the first feature film for co-director Leterrier, and he and Yuen show they know how to deliver the action goods. Between the car action, the gun-shooting, missile-shooting, and Hong Kong-style Martial Arts, the movie breezes by in a blur of entertaining goodness. It’s easy to see why this garnered two more sequels and a TV spin-off – it’s a simple, enjoyable premise and the end result lives up to, and exceeds, audience expectations. While we wouldn’t necessarily recommend the sequels, especially the second installment, what we would recommend is the Japanese DVD, if you can find it. It’s an uncut version that contains more violence than other DVD issues to date. However, it’s certainly not mandatory you find that in order to fully enjoy The Transporter – from action newbies to die-hard fans, it delivers the goods and surely a great time will be had by all who see it. Featuring a notable score by Stanley Clarke, and action scenes galore (the garage oil slick scene is a particular highlight), The Transporter is a gem.